News from East Boston's best information utility! Fr. Jonathan D. Parks, Salesian, former principal of St. Dominic Savio H.S. has died. By Fr. Michael Mendl, S.D.B. Fr. Jonathan D. Parks, S.D.B., former principal of St. Dominic Savio High School (1990-1993)/Savio Prep (2001-2004) in East Boston, died on July 11 in Marrero, La., after a months-long illness. Fr. Parks had also been principal of Don Bosco Technical High School in Boston (1980-1983). Fr. Parks was 60. Fr. Parks was pastor of St. Rosalie Catholic Church in Harvey, La., at the time of his death. Fr. Parks was born in New Orleans on Sept. 26, 1949, and raised in Gretna, La. He met the Salesians when he attended Archbishop Shaw High School in Marrero, where he was in the second graduating class (1967). Strongly influenced by the Salesians who taught him, he entered Don Bosco Seminary in Newton, N.J., in 1967 and made his religious vows as a Salesian on Aug. 15, 1969. Fr. 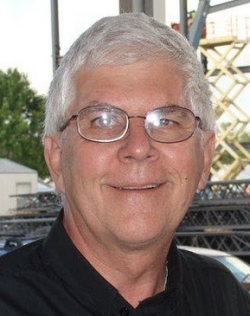 Parks earned a Bachelor’s degree from Don Bosco College in Newton in 1972 and was assigned to teach U.S. history and religion at Archbishop Shaw High School for two years. In 1974 he enrolled in the Pontifical College Josephinum in Columbus, Ohio, for theological studies. He earned an M.Div. and was ordained a priest on May 19, 1978, in Columbus. After ordination Fr. Parks served young people and the Salesians as a teacher and school administrator in Cedar Lake, Ind. (1978-1979), Ramsey, N.J. (1979-1980, 1988-1990), Tampa (1983-1988), besides the two Boston schools. He also was a vocation director for the Salesians (1983-1984, 1993-1996). After earning a doctorate in educational administration and superintendency at Boston College in 1996, Fr. Parks was appointed superintendent of schools for the Salesians’ Eastern U.S. Province in 1999 and served until 2004. He assisted St. Rosalie Church as associate pastor from 1996 to 2001. Fr. Parks was a frequent speaker at the National Catholic Education Association and a member of various boards, including the National Religious Vocation Conference and Cafe Hope in Marrero. He was a member of the presbyteral council of the archdiocese of New Orleans and a consultant to the Office of Education of the archdiocese. hat the storm had caused to the parish facilities. Mary Wenzel, principal of St. Rosalie School, wrote to the students’ parents on the day Fr. Parks died: “Saint Rosalie school and parish communities are experiencing a tremendous loss, as Fr. Jon touched many people’s hearts and lives in a very special way. He was always there for everyone and ministered to anyone who crossed his path. Fr. Parks is survived by his twin brother Joseph Anthony Parks of Pineville, La., his younger brother Kenneth of Virginia Beach, Va., and his sister Christine Fleming of Gretna. Funeral services were scheduled for July 14 in Harvey and Westwego, La., and burial in a family plot in Gretna. Later in the summer the New Rochelle Province will hold a memorial service for Fr. Parks in the New York area.